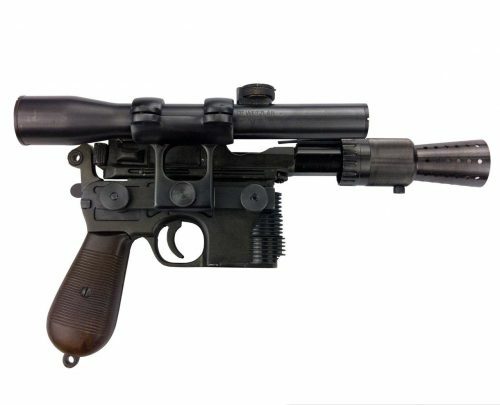 Our long awaited Han Solo DL-44 Blaster is the result of a year and a half’s worth of fanatical research. We’ve procured all of the original elements that are currently available including Veron model kit cylinders and pushrods, Hensoldt-Wetzlar scopes, and MG-81 flash suppressor and adapter. We’ve spec’d them all in minute detail. 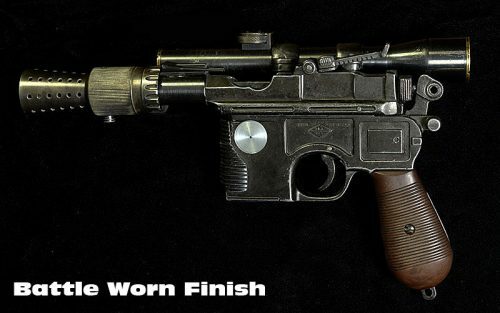 We’ve searched out the best manufacturers for each of the parts required to duplicate this prop, down to the screws. What we’re offering here is incredibly close to the real prop. https://www.youtube.com/watch?v=AZ33dhdCKrM Corporate Synergy at it's finest!